Our mission is to deliver personalized care tailored to the needs of our clients in an efficient, yet comprehensive manner through a team approach. We are a team of Physicians, Fitness, Nutrition and Aesthetic practitioners with diverse backgrounds joined to achieve a common goal to help our clients become Healthy, Fit, Attractive and Vital for years to come. Your health is personal, it is unique and it is essential to every aspect of your life. At Celebrity Medical Center we are able to spend more time, devote more energy and be more involved and accessible than the typical primary-care physician. 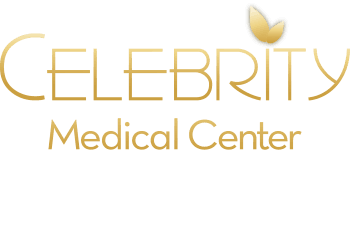 As a member of the Celebrity Medical Center you can rest assured that you take center stage, and together we work for your best health. Everybody knows that fitness is very important for our well-being. However, not many know what would work best for them at any given time. What exercise would be appropriate for them depending on what else is happening in their life. It’s not easy to manage your life, job/work, family, nutrition, exercise and all other great things that you set out to achieve. At Celebrity Medical Center your consultation begins with the assessment of your concerns, needs and goals. We are not here to sell you the most expensive or in vogue package or procedure there is. Our approach is personalized. You tell us what your concerns are and we will present you with different options to improve your aesthetic appearance.